Ah peaches. Every summer I am hard pressed to decide what my favourite fruit is, and it really fluctuates as different fruits come into season. At the start of summer, it’s cherries. Then the berries rear their beautifully addictive heads. Then the peaches. Oh, the peaches! Alright, alright. I love peaches. Can you tell? So much so, that I was inspired this week to undertake a peach adventure. 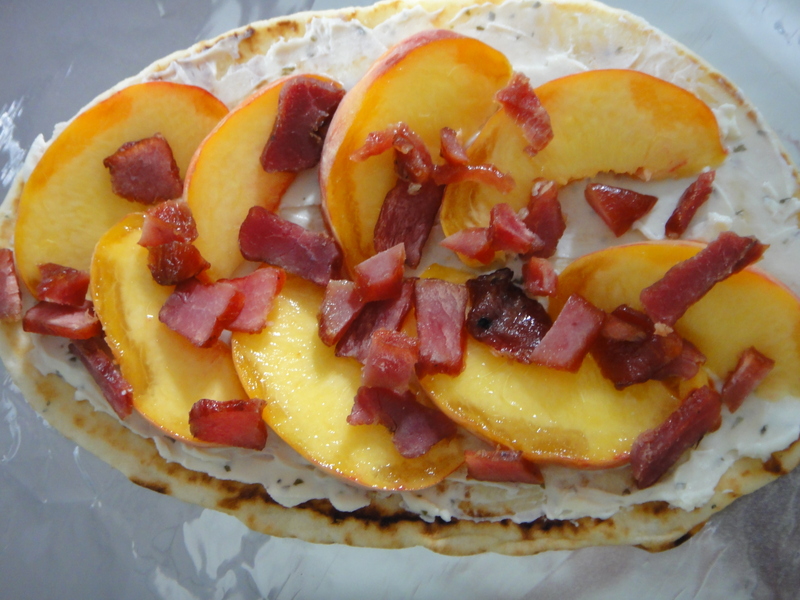 I wanted to incorporate peaches into a sweet and savoury appetizer for a family dinner, that was as fun as it was imaginative, and boy- this this one ever resonate. With all ingredients being local (yessiry), this flat bread appie was quite the treat. Now, for my ode to peaches…. I only had 15 mins to get in and get out at the market, so I quickly went to the vendors that I knew would have what I needed. Damini from Mini Kitchen had 2 bags of naan left, so I scooped one up. I brushed on side with olive oil so it wouldn’t stick when grilling. 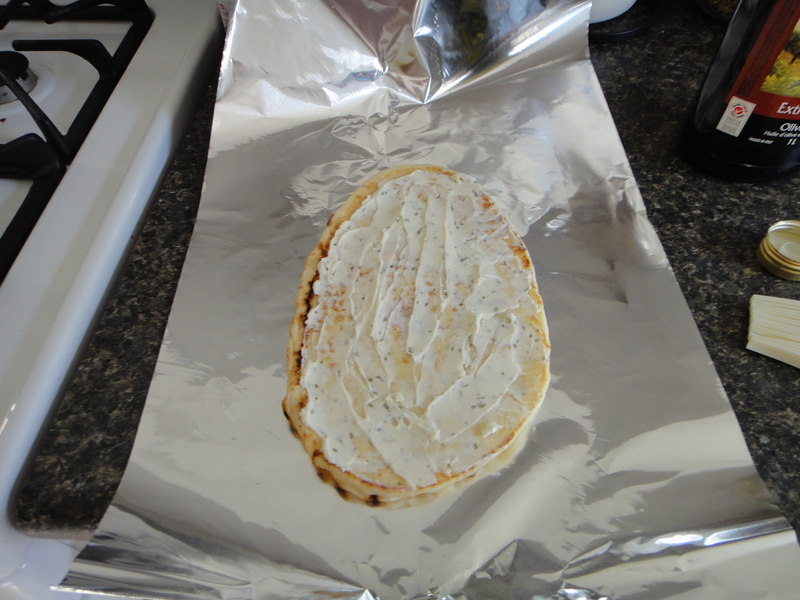 I laid it flat on a piece of foil, and spread some herb and garlic cream cheese on as the base. 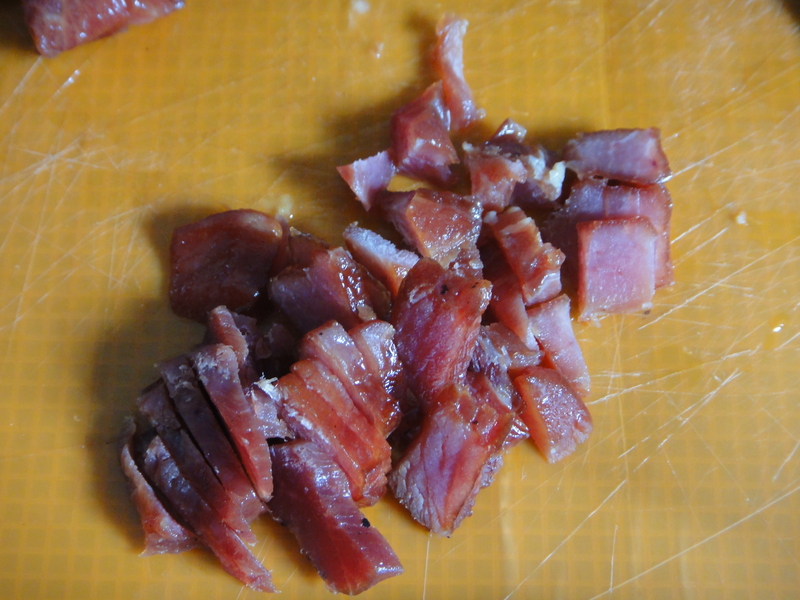 These pork nuggets are like nothing I’ve ever tasted before: sweet and salty with a fleshy texture of thick-cut bacon, that made my heart pound and my taste buds rejoice! These made the flat bread was it was: Glorious. I sliced the nuggets thinly, so that each bite would have a tiny morsel of heaven in each bite. I sliced some peaches (from Steve and Dan’s, of course!) and litters the flatbread with them, then sprinkled on the golden nuggets. Next, I grated some Reggiano aged Pecorino sheep cheese from the Cheesiry on top, and voila! It was ready for the grill. I popped this bad boy on the bbq on low for about 15 mins, enough to crisp the bottom, while slightly melting the cheese on top. Here is the finished grilled product. Off of the grill, this guy was ready to be sliced and devoured. I sliced it up with a pizza cutter and it was gone in seconds. Now that was quite the ode to peaches. 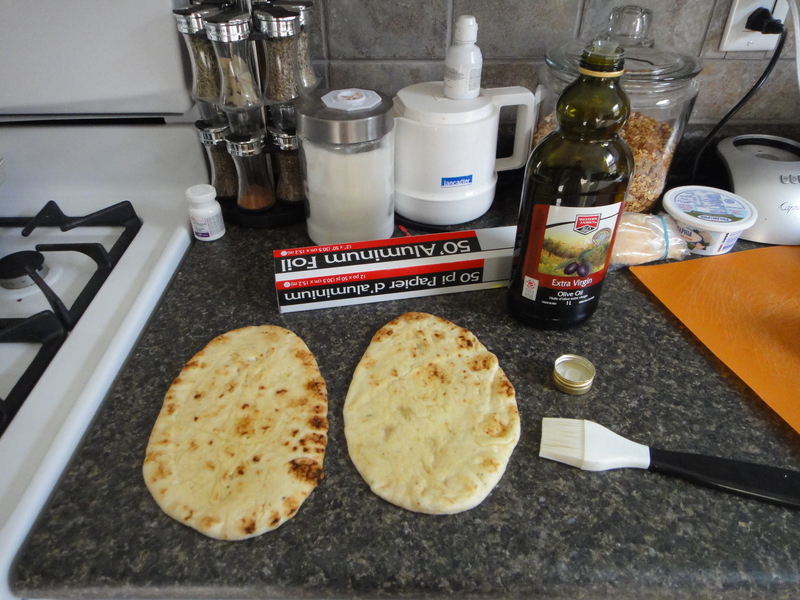 Paint one side of the flat bread with olive oil. Lay oiled side down on a sheet of aluminum foil, with the shiny side up. Cover other side of the flat bread with cream cheese. 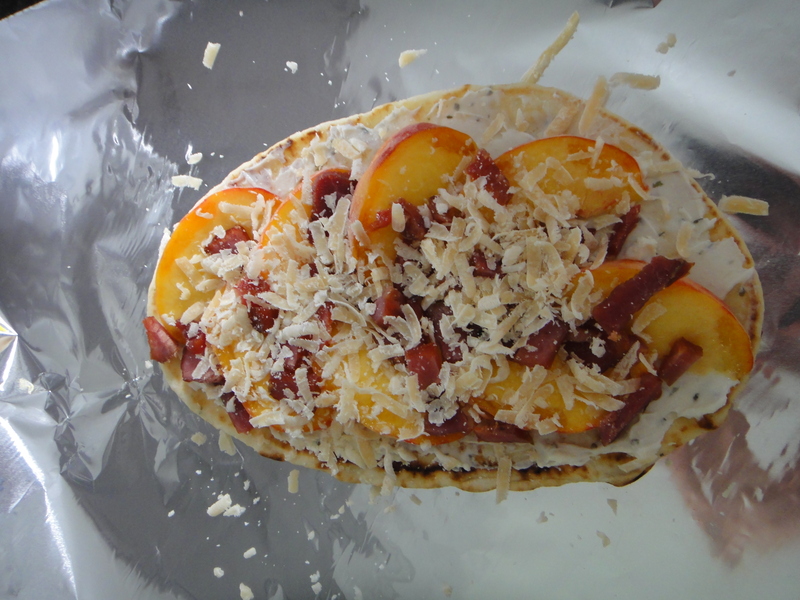 Thinly slice peaches and arrange on top of cream cheese. 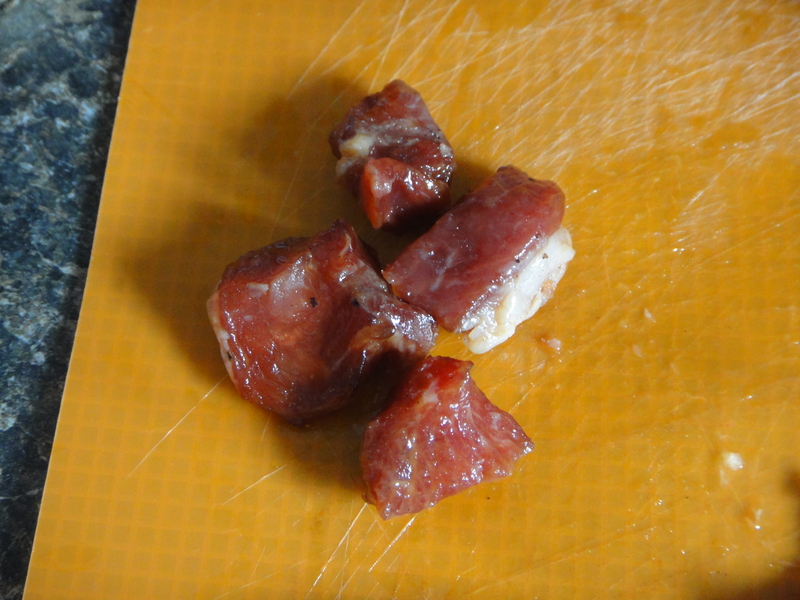 Slice pork nuggets thinly and sprinkle on top of peaches. Grate Reggiano on top of flat bread. 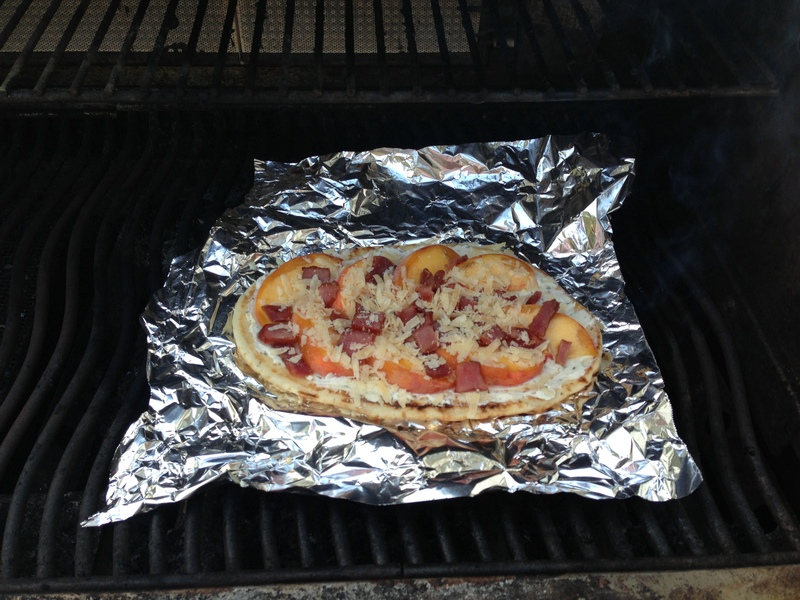 Grill on the BBQ on low for 15-20 mins, until the cheese is melted and the peaches are warm. 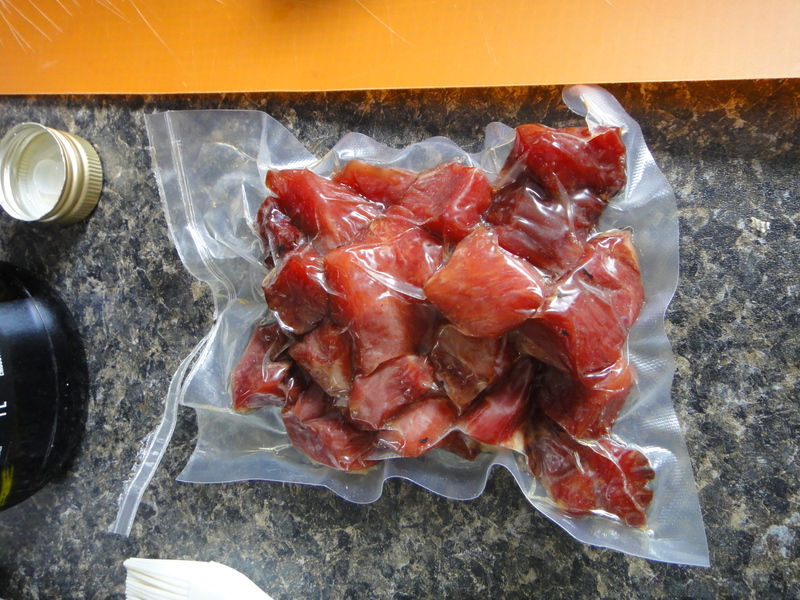 Remove and transfer to cutting board. Cut with a pizza cutter and serve right away. Enjoy. A (whole helluva) lot! *Correction: I recently discovered the correct name of the cheese I had purchased from the Cheesiry. It’s called Pecorino, not Reggiano. All corrections are crossed out! My apologies. Really glad the the pork nuggets worked with your dish! They are very tasty and addictive! They were fabulous Elyse! I absolutely adore them!